Happy April, readers. We can't stress enough how we appreciate you all and grateful you all enjoy the muse series! Please leave us some feedback on what you love about the muse series. We love to hear from you! 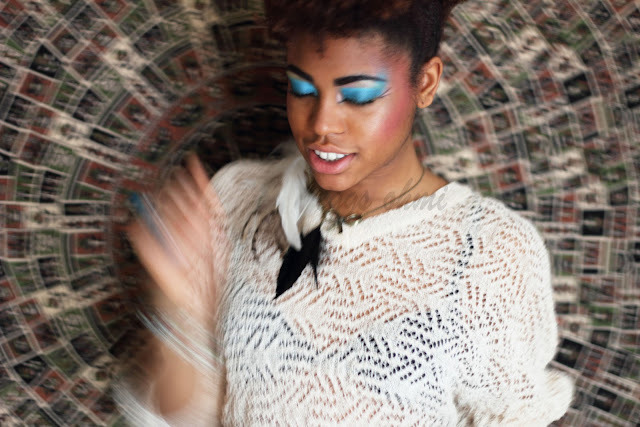 This month's muse is Nakeya B., a photographer based around New Jersey/New York. 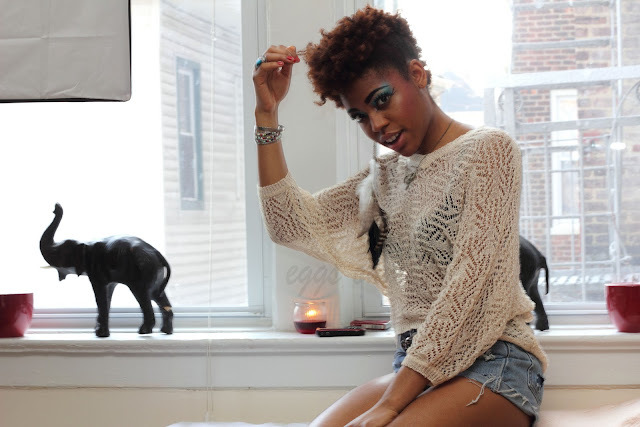 She's full of spirit, has a great sense of style, and a natural in front of the camera! This shoot didn't take too long that's how well she worked it! 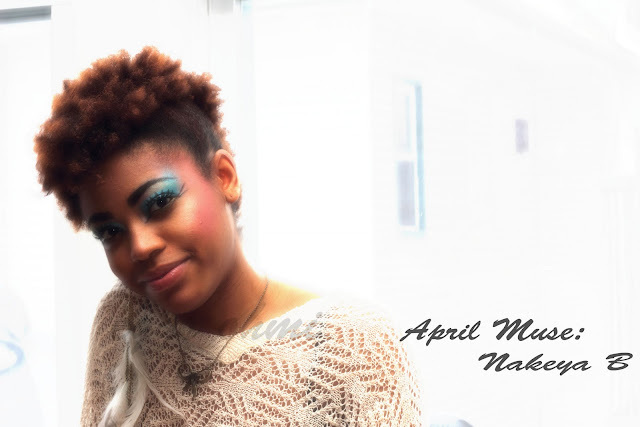 Our photographer, Eggs, did a great job capturing Nakeya. So glad that Eggs is part of the C&J team because he's always down to help the boss lady. And he knows how much I love the blurry pictures. We don't edit the photos, except for the 1st one but everything else is as is! Thank you so much!!! As far as the make-up, I wanted the eyes to be striking. It went along with her ensemble! Stay a while and get to know a bit about Nakeya. What do you enjoy most working in photography? I most love using my photography to meet new people. There are a lot of people that I would never know if I didn't do photography. I can't imagine where I would be without some of them in my life. Truly amazing and inspiring individuals. What camera do you work with? I work with the Canon 5D when I am lucky. I also shoot with retro Pentax 35 mm camera. What inspires you during your shoots? Having a really great ipod is always inspiring. Also, working with a full team (hair, stylist, model, etc) keeps the ideas flowing. We are constantly trying different angles and looks to get the most appealing pictures. The more brains on set the better. You were an awesome model, you knew how to work in front of the camera, you exuded so much confidence. 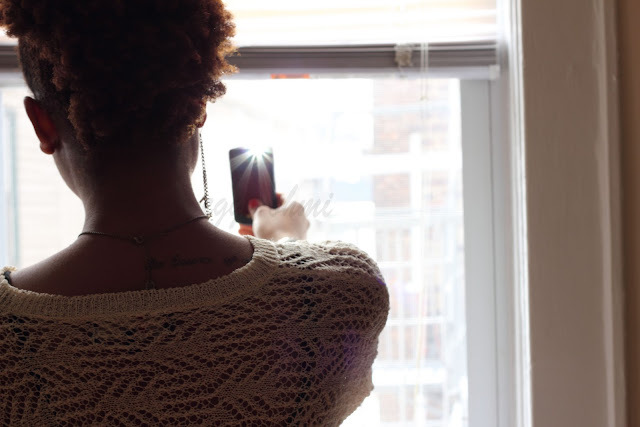 What can you say to women who lack confidence? Thank you thank you! It's important to keep yourself surrounded by positive and supportive people. A chunk of confidence comes from within, but also having genuine people in your corner to help keep your eye on the prize is something worth thinking about. Negative people bring nothing but negative energy, remember that. 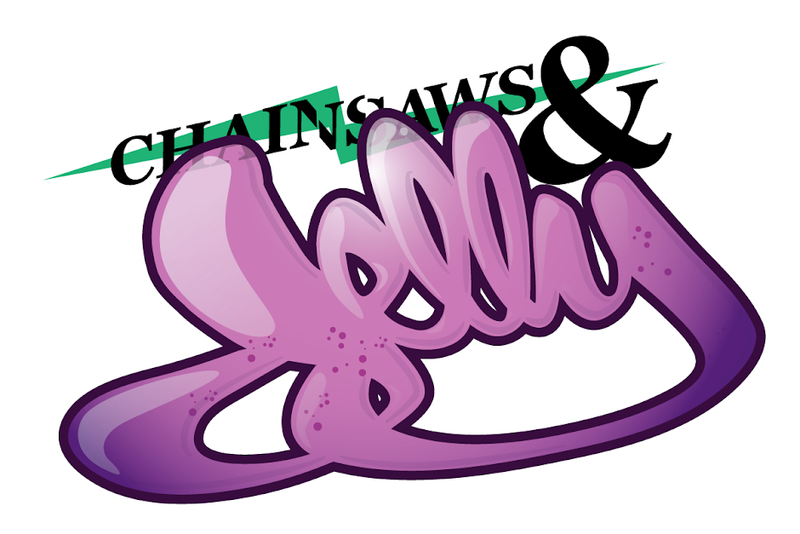 What did you enjoy most about the photoshoot with Chainsaws and Jelly? Besides loving to hang out with the fab woman behind C&J, I loved the make up part. Usually I am the person checking in on the make-up artist making sure we stick to the schedule. It was cool to see myself look nothing like myself.